Learn Explore Achieve Progress | Latest Jobz in INDIA: TECHRUIT Fresher Job Fair- For Arts & Science Graduates & Diploma! TECHRUIT Fresher Job Fair- For Arts & Science Graduates & Diploma! 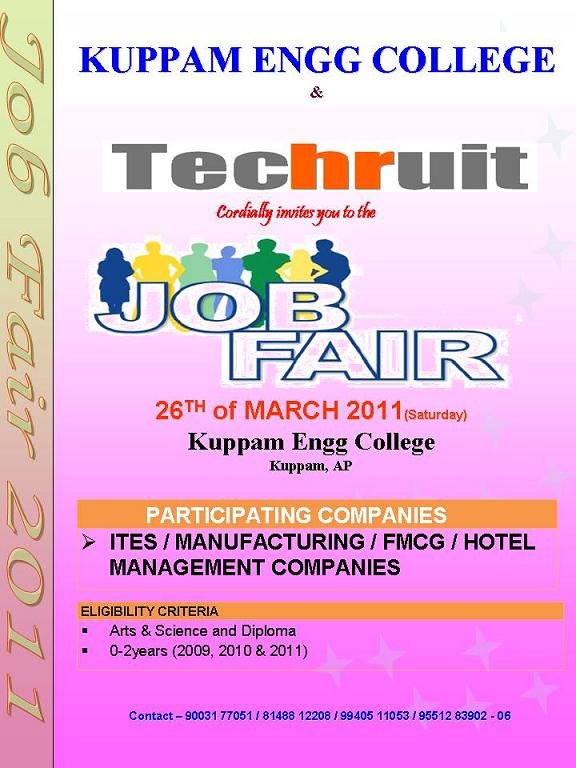 Techruit is organizing a Mega Job Fair for Arts & Science & Diploma Graduates at Kuppam. Note: No Registration Fees for this event.